The Scripps Research Institute released a study Monday that confirms the health benefits of drinking moderate amounts of red wine, but not in the way researchers previously thought. The Scripps researchers’ report, which appears in Monday’s edition of the online journal Nature, shows that resveratrol, which for years has been thought to improve human health, can work in smaller doses than first believed. A rich ingredient of red wine, the compound’s effectiveness had been questioned by researchers who noted the unrealistically large amounts given to laboratory mice in previous studies. TSRI scientists found that resveratrol produces beneficial responses in doses as much as 1,000 times less than provided in previous tests. 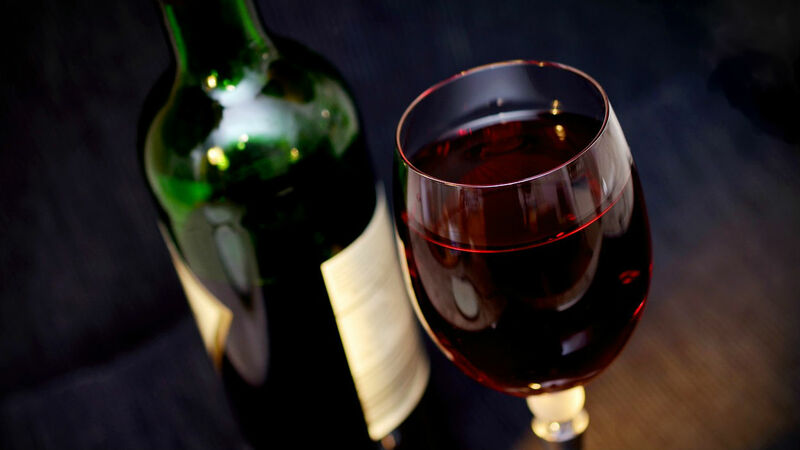 “Based on these results, it is conceivable that moderate consumption of a couple glasses of red wine would give a person enough resveratrol to evoke a protective effect via this pathway,” said Mathew Sajish, a TSRI senior research associate. Resveratrol is produced in grapes, cacao beans, Japanese knotweed and some other plants in response to stresses like infection, drought and ultraviolet radiation. It has attracted widespread scientific and popular interest over the past decade, as researchers have reported that it extended lifespan and prevented diabetes in obese mice, and vastly increased the stamina of ordinary mice running on wheels. Previous research led scientists to believe the compound activated the gene SIRT1, which is thought to control longevity. The TSRI study found that could happen in really large amounts, but the more relevant pathway involved an RNA enzyme — TyrRS — which activates the protein PARP-1, a major stress response and DNA-repair factor thought to have a significant influence on lifespan. Mice injected with resveratrol activated several protective genes, including the tumor-suppressor gene p53, the longevity genes FOXO3A and SIRT6, according to the scientists. Schimmel and his laboratory colleagues said they are also searching for molecules that can activate the TyrRS stress response pathway even more potently than resveratrol does. Their study was funded by the National Cancer Institute, the National Foundation for Cancer Research and aTyr Pharma Inc.